Lasagne is a comfort food that pretty much everyone adores. 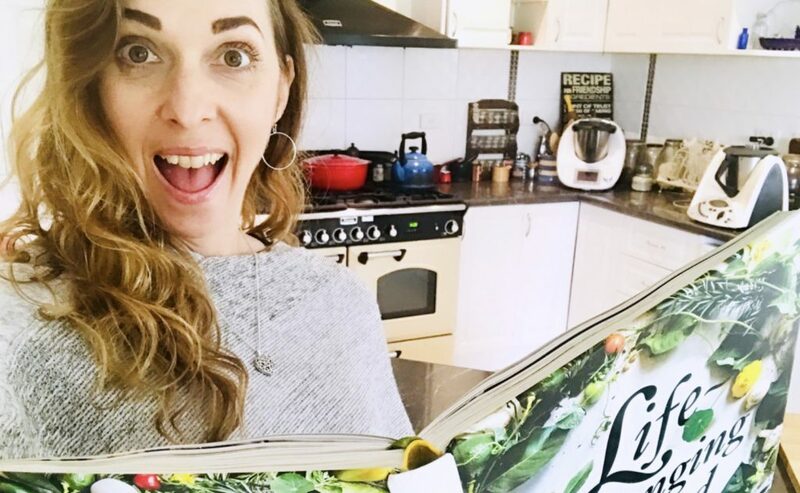 You’ll notice that when someone changes their diet to eat gluten free, grain free, dairy free, vegetarian, vegan, paleo, GAPS, keto… whatever it is… they madly search for a substitute for their beloved lasagne!! Right? 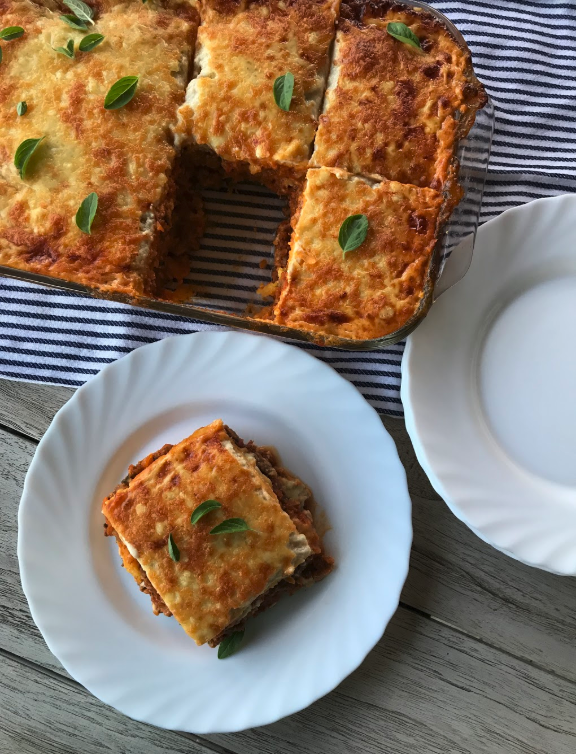 – 1994: Regular homemade lasagne, sauce made with milk and white flour, lots of cheese, a packet of dried tomato soup added to the bolognese sauce for flavour, and wheat-based lasagne sheets. – 2000: No more wheat pasta – lasagne now made with homemade organic spelt lasagne sheets. (I milled my own flour with an ancient stone-grinder, mixed the dough by hand, and the kids helped roll the pasta through the pasta maker). Sauce flavoured with fresh herbs, tomato paste, a little honey and vinegar… no more packet mixes! And sometimes it’s a meat-free lasagne with lentils instead of mince. – 2004: Thermomix arrives in our home – pasta dough is made from either spelt or buckwheat (milled and made into a dough in thermie), with lots more veggies in the bolognese sauce (finely chopped and cooked in thermie). – 2005: No more soy milk (phew! ), now the white sauce is made with homemade rice or almond milk in thermie, and thickened with cornflour or arrowroot. Cheese on top. – 2006: Lasagne becomes completely gluten free and dairy free. Either homemade buckwheat pasta, or store-bought gluten-free pasta (because… four small children!!). No cheese on top but some savoury yeast flakes added to the white sauce to make it ‘cheesey’. – 2014: We begin GAPS to heal our gut issues, so no starchy foods for three years… I swap pasta for thin slices of steamed pumpkin, and the white sauce is made from activated almond milk, and thickened with gelatine instead of starch. – 2018: We have reached the epitome of our lasagne journey!!! (Ha ha!) Whole food starches are back in moderation as part of the diet, and we have discovered the most delicious grain-free pasta EVER, made from the Grain-Free Dough from our Life-Changing Food cookbook! As you may have noticed on social media during the last year, thousands of people are absolutely loving our grain-free dough recipe. This recipe is one that Fouad developed for his Sydney restaurant, Chic Pea – and he kindly shared it with us all in Life-Changing Food. 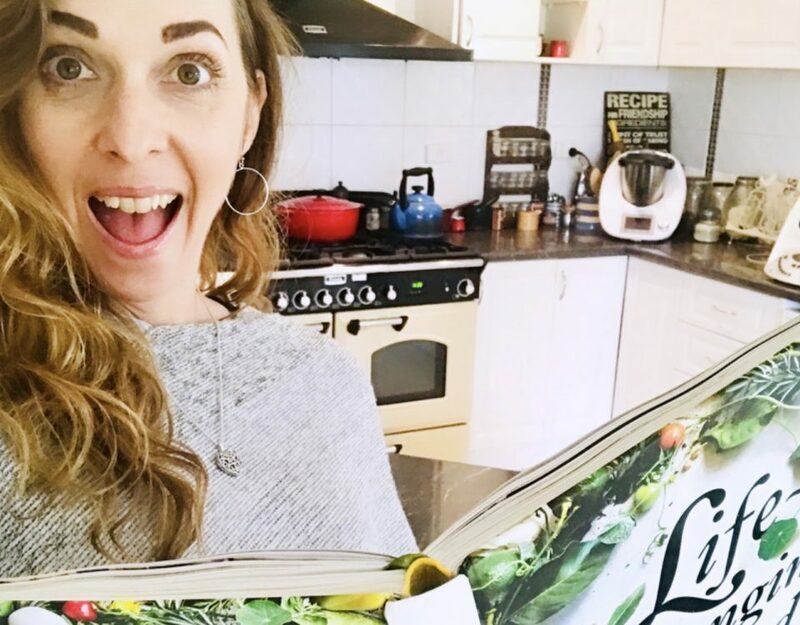 It has been a hit from day one of our cookbook release – the first recipe from the book to go crazy on Facebook was the sausage roll recipe made with this dough! 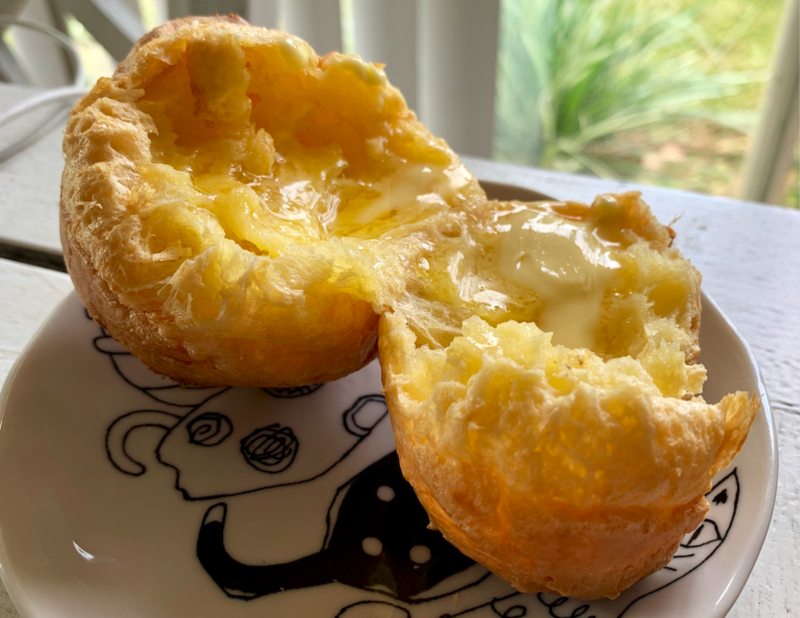 Recently a friend of ours made the Paleo/sweet potato version of the dough, rolled it really thin, and used it instead of pasta in her lasagne – and raved about the results. We tried it, tested it on some friends, and they all raved too! 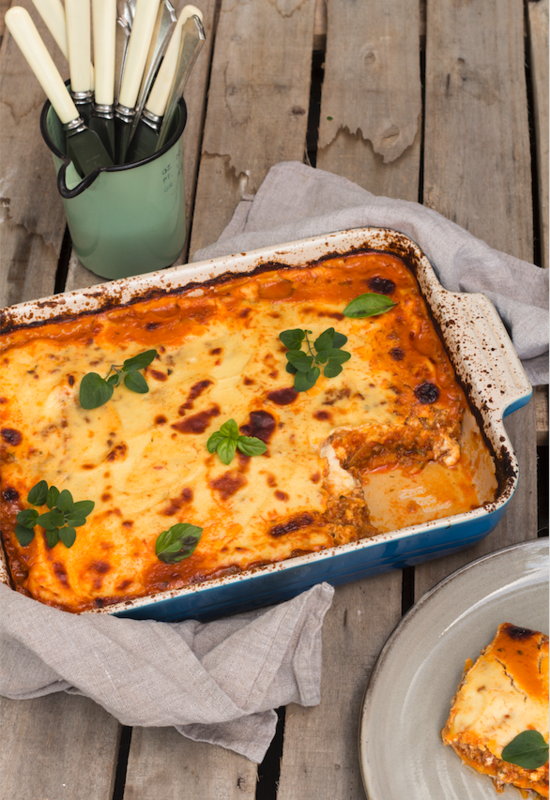 So we’ve decided to share our lasagne recipe with you all. We hope you enjoy it. And please share with us your own variations to make it keto, vegetarian, egg-free, or whatever you come up with! OR you can buy it pre-made (see below), or use your preferred lasagne sheets. Buy our Grain-Free Dough/Pastry Pre-Made! Free eBook: You can find more recipes using this dough/pastry in our downloadable Grain-Free Pastry ebook! A grain-free lasagne using our incredible pastry from Life-Changing Food. Place onion, garlic and herbs into Thermomix bowl and chop 3 sec/speed 5. Add tomatoes, carrots, celery, zucchini and capsicum and chop 8 sec/speed 5. Add ghee or olive oil, mince, mushrooms, tomato paste, vinegar, honey, salt and pepper to TM bowl. Use spatula to stir ingredients and break up mince. Cook 25 mins/Varoma/rev/speed soft. Place all white sauce ingredients into TM bowl and cook 7 min/90C/speed 4. Preheat oven to 180ºC. Grease baking dish with ghee or olive oil. Set dish aside. Divide the pastry into 3 equal portions (approx 160g each) and roll into balls. Place one portion onto a large piece of baking paper, and dust generously with tapioca, turning it over to dust both sides. Flatten with hands to form a rectangle, then place another large piece of baking paper over the top of the dough and roll out to a rectangle approx. 30 x 18cm. Remove top piece of baking paper. Trim edges of pastry to make it the same size as the dish. Spread a small amount of bolognese sauce into the bottom of the baking dish, to barely cover base of dish. 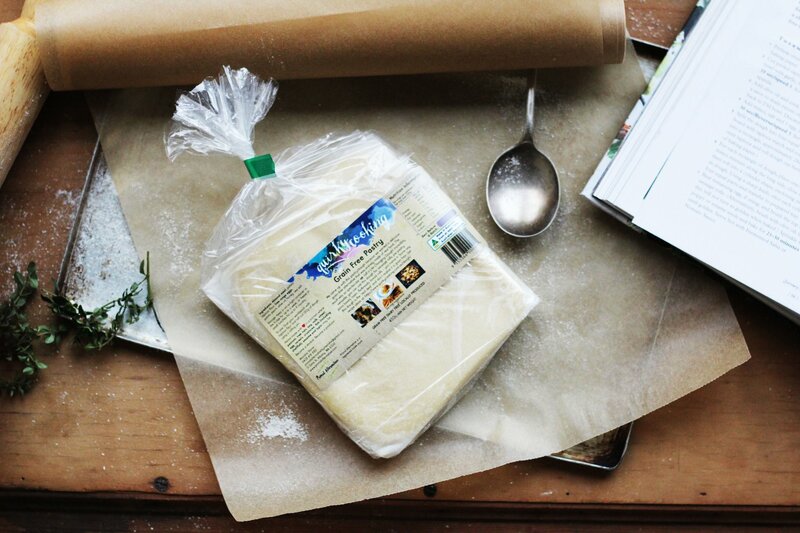 Turn pastry on paper over to cover base of dish, then remove remaining piece of baking paper. Spread half of the bolognese sauce over the pastry. Drizzle with 1/3 of the white sauce. Repeat with a second layer of pastry following instructions as above for rolling out, and remove paper. Spread over remaining half of bolognese sauce and drizzle with 1/3 of the white sauce. Place third layer of pastry into dish, remove paper, then top with remaining white sauce. Sprinkle over the grated cheese, if using. Bake 25-30 minutes at 180C, until bubbling and golden brown. Rest 10 minutes before cutting into pieces and serving. Bolognese Sauce: Chop or grate vegetables, place all ingredients into a large saucepan, and cook on stove top over medium heat for about 20 mins. Stir occasionally to keep from sticking, and add a little water if needed. White Sauce: Place all ingredients into a saucepan and cook over medium-high heat. When sauce begins to simmer, reduce heat to medium-low, and whisk while cooking until thickened and smooth. Storage: Store in fridge for up to 3 days, or in freezer for up to 6 months. This recipe is so delicious. I had some leftover sauce which we had with pasta and zoodles! I’m back in 2014….how to you make white sauce out of almond milk and gelatin? 3 year old on GAPS type diet with food allergies but he can handle gelatin and almonds. 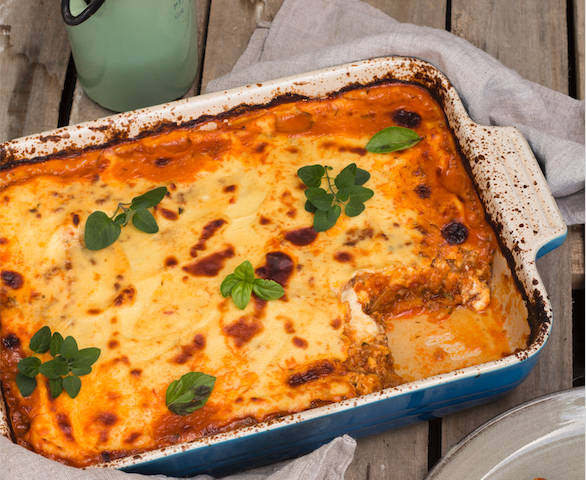 Could you make this lasagne using cooked slices of sweet potato in place of the pasta?